One of the most exciting vacations you can have in Dubai is a luxury yacht charter. A luxury yacht is a perfect combination of much-needed privacy, great services, laid back ambience and the breathtaking sceneries. It is going to be one of your best vacation memories without a doubt. However, before you get on with a luxury yacht charter, here are a few dos and don’ts on the etiquette you must follow while onboard. 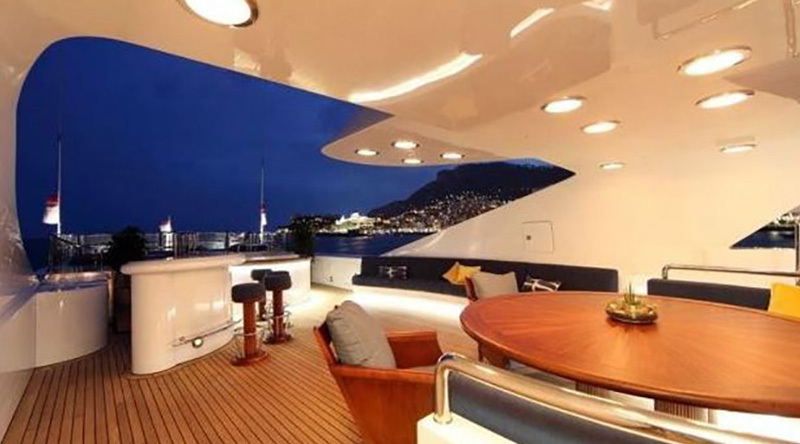 When the crew welcomes you on board, they want you to feel at home in their luxury yacht. So, treat the place as you would treat your own home. Be careful while using the yacht facilities and never litter the place. The crew, as well as the yacht owner, will appreciate your efforts. Treat your crew with respect. They are your valued employees as long as you are on board. The crew have their own job to take care of so never step in their way. If you plan to have parties on board the luxury yacht charter, you must plan it in advance and convey the same to the captain and the crew. They will be happy to help as long as you show them the courtesy of informing, which will ensure you of a great experience aboard. Do not hinder the crew while they are on their housekeeping tasks. Stay out of their way while they are cleaning, making your bed or doing the laundry. Respect the smoking policy on board the luxury yacht charter. In most yachts, smoking is prohibited inside the cabin. There may be specific areas on the deck where smokers can have their time. Always be a thoughtful guest and follow the rules. Bring soft luggage on board, which can be stowed away. Hard-sided luggage takes too much space and is difficult to store on a yacht. Most yachts have a bare feet rule while on the yacht. The shoes are mostly kept at the gangway or outside the saloon doors. The hardwood floors and plush carpets inside the luxury yachts are not made for stiletto heels or black soles. Some yachts allow the guest to wear soft slippers instead. Do listen to all the safety briefings prior to entering the yacht. This will help to avoid any untoward happenings. It is improper to go into the crew’s private cabins and other areas, like the kitchen without invitation. Respect their space and steer clear of those areas. Even if you feel hungry at night, you must ask your crew for a midnight snack rather than invading the yacht kitchen. Do not expect the crew to babysit your children. Even though most luxury yacht charters are family friendly, allowing kids on board and have safety measure for the same reason, do not expect the crew to take care of your children. Yachts encourage young guests to get engaged in the on board games and water toys, and can even assist them with the same, but they are not responsible for them at all times. If you plan to relax on your trip, bring a nanny on board who can be accommodated in a spare cabin. You must never take matters into your own hands. While on board the luxury yacht charter, you must always report any issue any issues you face with the crew to the yacht’s captain. It is improper to lecture a crew member yourself as the captain is the right person with authority to do just that. Never do anything illegal while aboard the luxury yacht charter. There is absolutely no tolerance for any kind of illicit actions calls for a penalty, where the yacht itself will be seized. If such a case arises, the captain, as well as the crew, will turn you to the authorities without a second thought. Enjoy your luxury yacht charter trip by following these simple etiquette guidelines. Wish you a nice time aboard in advance!